CHICAGO –– David Axelrod, President Obama’s senior advisor, is now being protected by the U.S. Secret Service, ticklethewire.com has learned. 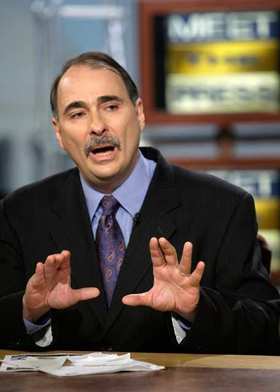 Sources familiar with the situation said Axelrod picked up the detail in recent weeks. He declined to say why Axelrod, 54, had picked up the detail or whether there had been any recent threats. Last month, Axelrod was spotted with a Secret Service detail at Manny’s, his favorite Chicago deli on South Jefferson. The White House did not immediately respond and asked that questions be submitted via email. The White House had yet to respond to the written questions as of late afternoon Tuesday. Later on, the White House declined to comment. The Secret Service provides protection for the President and Vice President and their families, his chief of staff and some other members of the cabinet. But people like Axelrod don’t automatically get protection unless it’s authorized by the Department of Homeland Security and approved by the White House with an executive order. Posted: 8/4/09 at 2:47 PM under News Story. In response to your recent email: Here’s a reality check for you. A few months ago we were required to change from analog to digital signal on our televisions. What were you government, out of touch people thinking? Some of us have lost programing altogether, some have lost some stations and all of us have had to install antennas on our roofs to receive what we used to receive without them, and not as well, I might add. Some stations have gone back to analog to serve their areas and my question is: “Are you wanting us to be in the dark?” I think yes is the answer to that question. Mushrooms out here would suit you Dems and liberal Repubs just fine, I think. So, how does this relate to health care, you ask? I think you can perceive the answer to that.